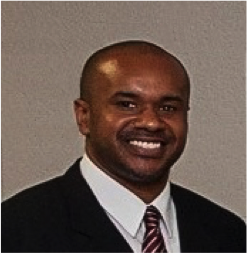 Professor Ansel Brown is Assistant Clinical Professor of Political Science at North Carolina Central University (NCCU), where he serves as campus advisor for the Pre-Law Program. He was named the Director of the University Honors Program (UHP) in the fall of 2010. Professor Brown specializes in pre-law studies, international law and policy. He teaches “Intro to Legal Process and Judicial Process,” “Basics of Legal Writing,” “Constitutional Law,” “Practicum in Legal Problem Solving,” and “Problems of Contemporary Governments, and International Organizations.” Prior to entering academia, he served as policy counsel at the N.C. Institute of Minority Economic Development and the Center for Responsible Lending, where he advocated for consumer protection laws aimed at reducing predatory subprime lending and rising student debt. He earned his bachelor’s degree from NCCU and his Juris Doctor from Harvard Law School. As a law student, he co-founded the Harvard Alliance for Israel and wrote his third year paper with Professor Alan Dershowitz, critiquing the Durban Conference on Racism. Brown is a member of the N.C. State Bar.